Have you been told that you have spider veins? Undoubtedly, you are surprised to hear that term. And you were likely concerned about the effect that these veins could have on your health and on your appearance. So, let’s start at the beginning; what are spider veins? In the simplest terms, they are veins that have become dilated. As a result of their dilation, they are close to the skin. 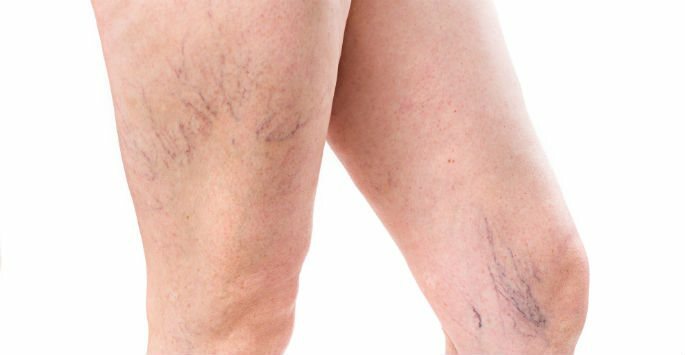 The reason why they’re called spider veins can be seen when you simply look at them. They branch out as if they were a spider web or as if they were branches of a tree. These veins vary in color. They can range from red to purple. If you have them, it is likely that you have them on your face or on your legs. Of course, they can develop in other places, but the legs and the face are the most common places for them to occur. Some people confuse spider and varicose veins. While they share many similarities, one of the major differences between spider and varicose veins are the size. Varicose veins are usually larger. Varicose veins result when your veins become swollen and are full of blood. Varicose and spider veins often occur in the same area. Spider veins are not usually seen in people under the age of 50. For most people, they are unattractive, but they’re not dangerous. There are no secondary symptoms. However, for some people, these veins lead to swelling. Others feel pain, restlessness in their legs, or a throbbing sensation. In extreme cases, these veins can lead to sores, blood clots, or ulcers. Thankfully, they can be treated in a way that is quick, safe, and permanent. How do you know if you have spider veins? The number one way is to look at them. As we mentioned, they look like a spider web has developed on your skin. And they are often accompanied by swelling, rashes, itching, and skin irritation. Spider veins most commonly affect women. However, some men are also affected. They happen because your veins have weak valves. Since your valves are not functioning properly, blood is not able to enter and leave the way that it should. If you have spider or varicose veins, schedule a consultation at Cardiology Consultants of Southwest Florida to learn about your treatment options. Contact us today to schedule a consultation at our office in Fort Myers.